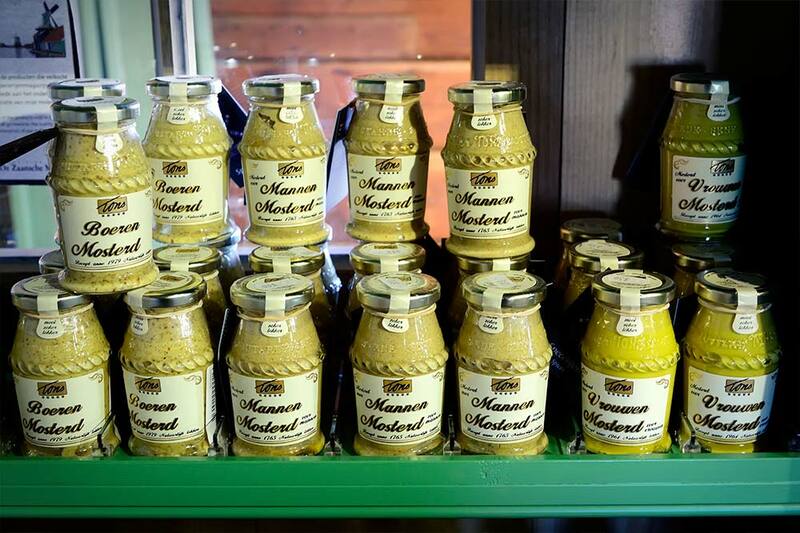 Come and taste delicious spices at spice warehouse and windmill De Huisman. Since 1955, you can find the windmill De Huisman on top of the spice warehouse Indië’s Welvaren, but there was a time they were standing next to each other. Snuff mill De Huisman dates from 1786 and spice mill Indië’s Welvaren from 1908 had to make way for the expansion of Zaandam. Now the buildings make up one modern company with a centuries-old history. 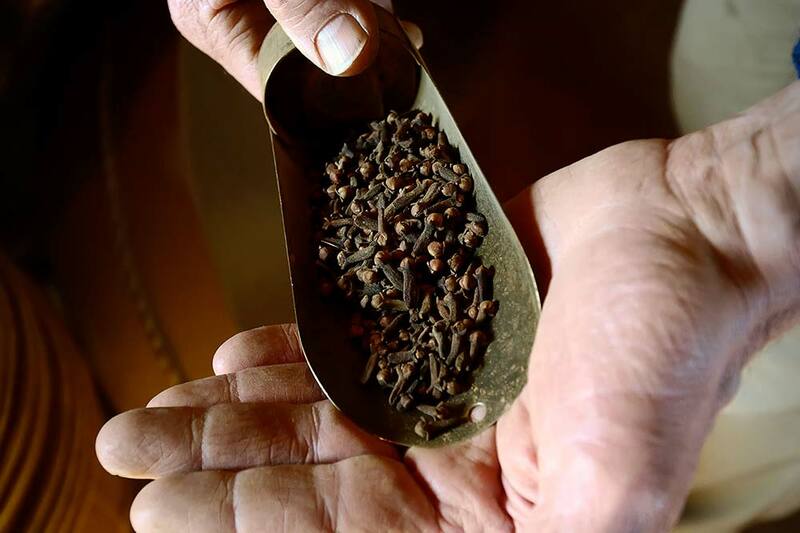 The delicious smell of freshly ground spices is everywhere. 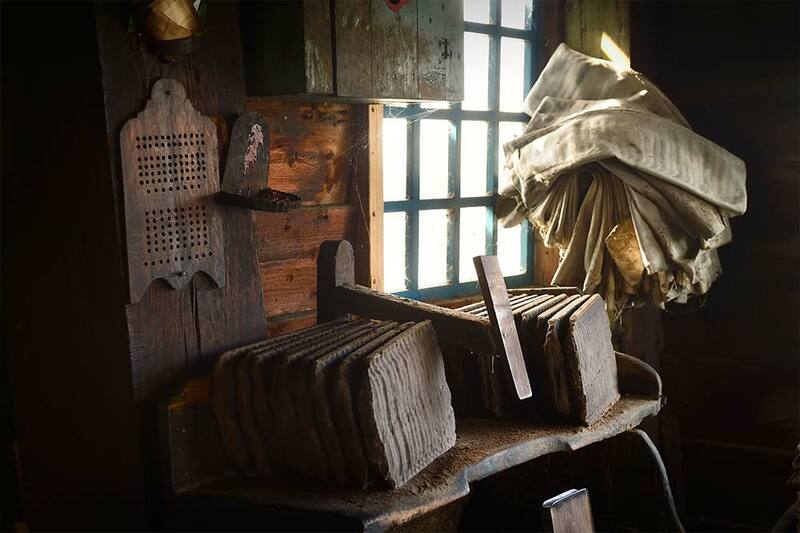 In the meantime three pairs of mill stones grind tropical products in a corner of the warehouse. A lot attention has been given to the interior of the authentic shop. Here you discover the world of flavours and aromas through a short movie and many informative panels, but of course also by tasting. Various spices are sold in the shop. 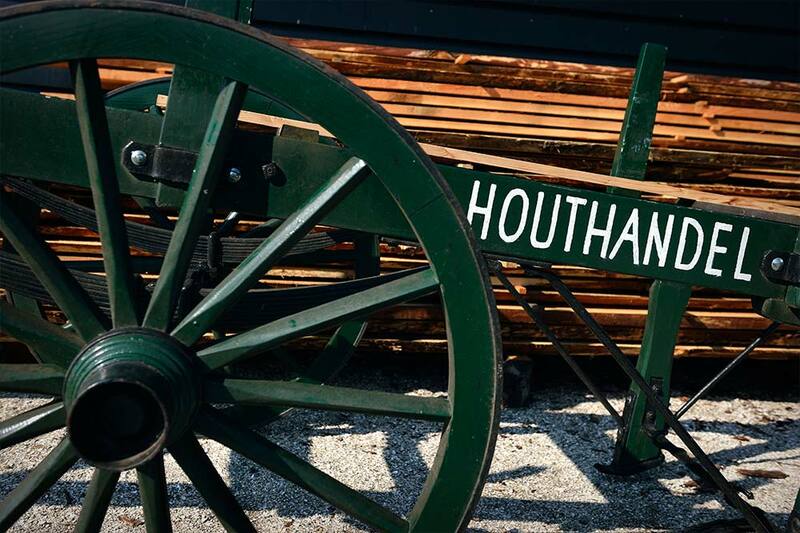 Can you already smell the sawdust from the centuries-old wood saw mill De Gekroonde Poelenburg? When all the houses are made of wood, a saw mill is an absolute must. 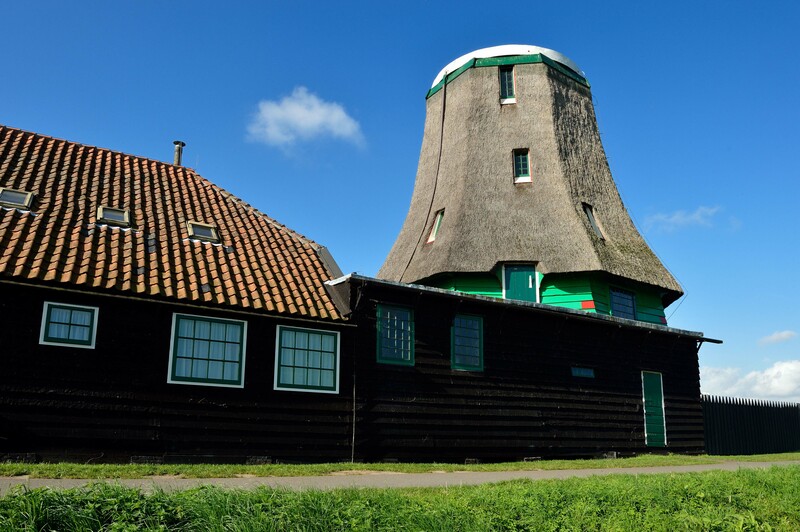 De Gekroonde Poelenburg is a paltrok mill, of which at one time 200 stood in the Zaan area. Paltrok mills have a workfloor which is open on three sides, and often have a dark, tarred body or buck. 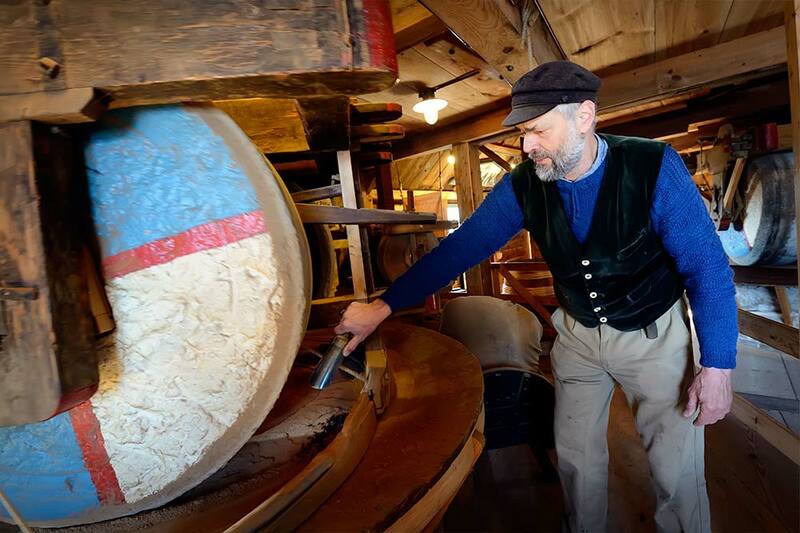 When trundling (turning to the wind) the entire mill is wheeled over a so-called rolling ring. This is why the paltrok is sometimes called an under-wheeler. This in comparison to the over-wheeling mills, of which only the top section with the sails is turned around. De Gekroonde Poelenburg was built in 1869 in Koog aan de Zaan. 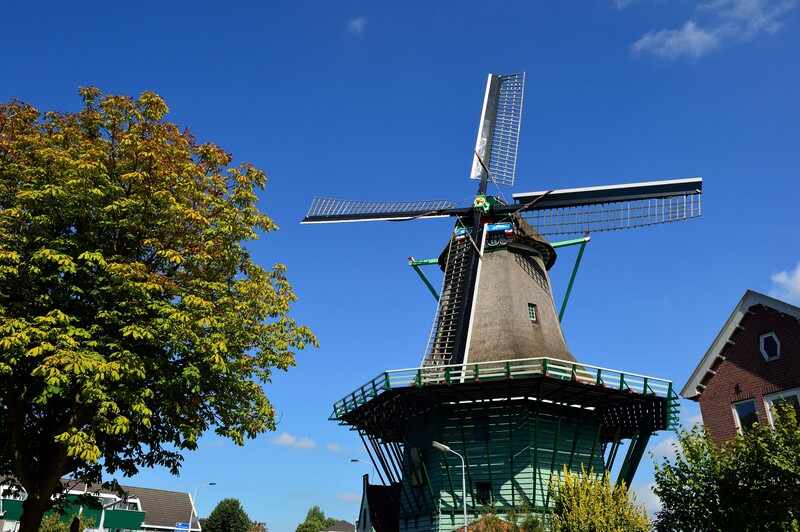 The mill replaced a companion which had to disappear for the building of the Amsterdam-Alkmaar railway line. In 1904 the mill had to make way again. It was then moved to a location on De Gouw, a body of water in Zaandam-Oost. 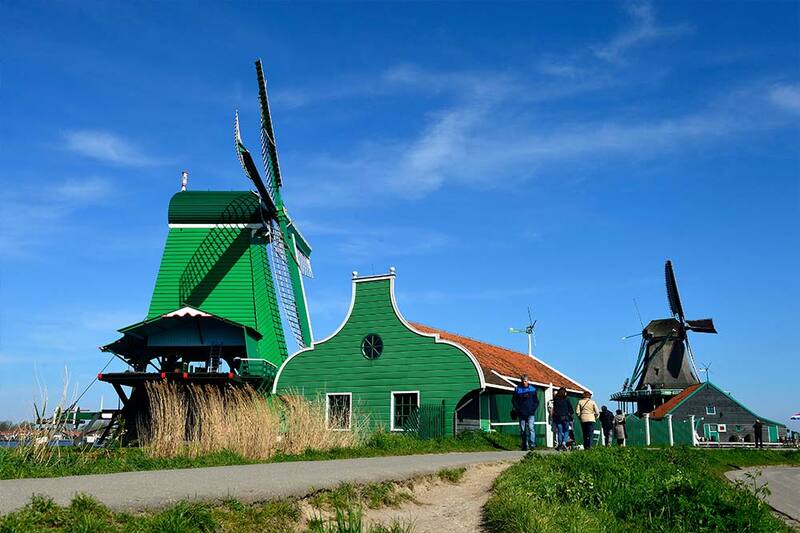 Finally, in 1963, it was taken apart again and rebuilt at the Zaanse Schans. Meet the primal strength of paint mill De Kat. Making paint in a mill? Absolutely! Miller Piet Kempenaar and his colleagues keep the sails of this unique paint milling mill turning. They are the real experts and know every nook and cranny of the mill. They also know everything about old paint techniques. Don’t hesitate to walk in for a demonstration. 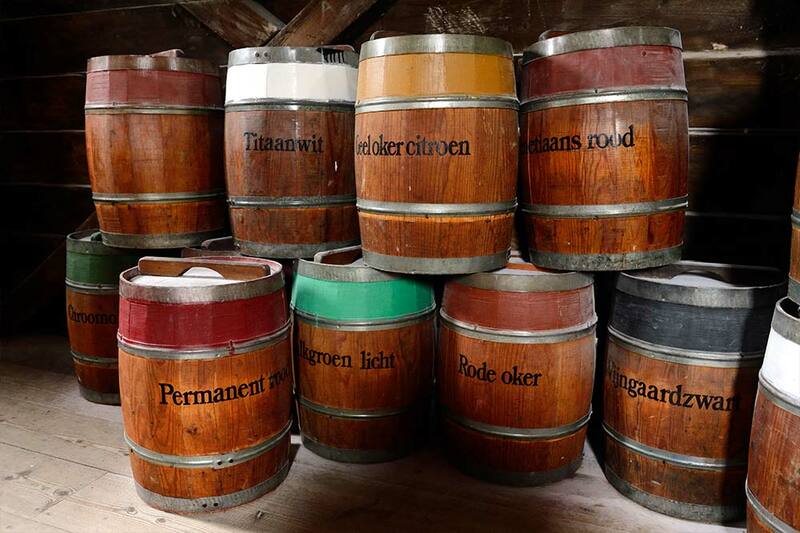 De Kat was built in 1664 and even now it produces paints and pigments of high quality. These are supplied to artists and restorers across the world. 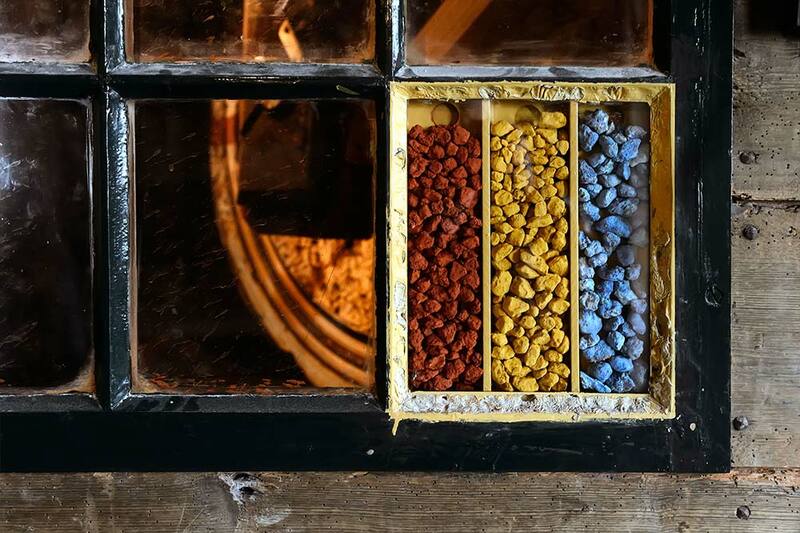 Apart from paint, the mill also produces chalk, pigments and oils. Don’t be surprised if when you enter the mill, the entire building vibrates with the milling. 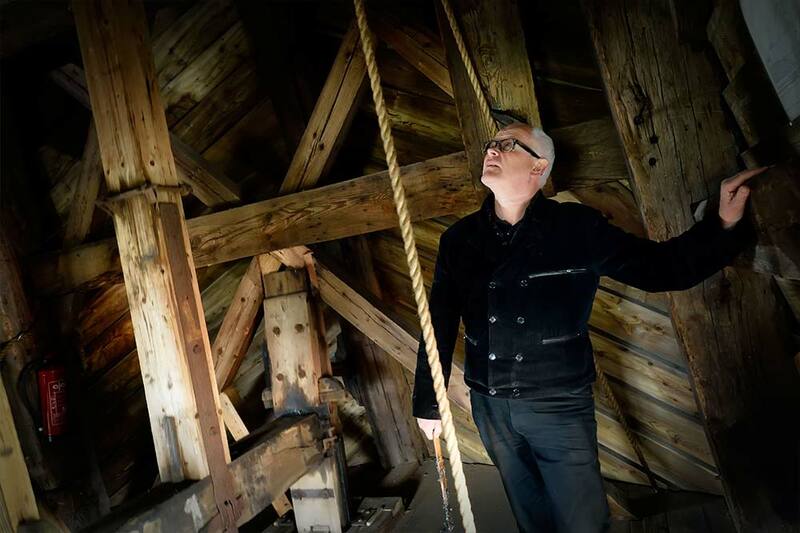 The primal strength of the building is also the reason that the mill has been in existence for such a long time. 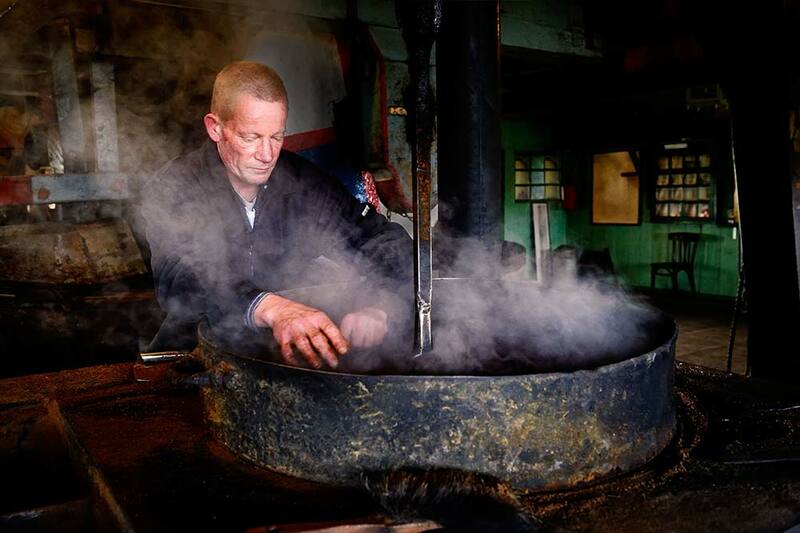 Oil, paint and cocoa: mill De Zoeker has made all of these at some time. Oil mill De Zoeker has stood at this location at the Zaansche Schans since 1968. 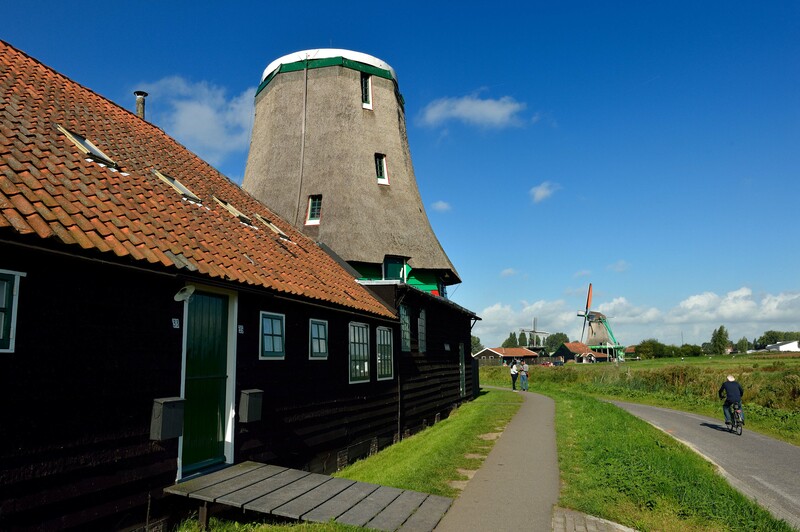 It is estimated that the mill was built in 1610, as a polder mill. In 1672 it stood in Zaandijk as an oil mill. In 1891 the mill was converted into a paint mill, to be reconverted into an oil mill 10 years later. Around 1940, the dilapidated mill was nearly defunct. Fortunately, the municipality of Zaandijk acquired the mill in the 1950s. In 1958 De Zoeker turned again as… an oil mill! Its relocation was spectacular: the top part, weighing 18 tons, was moved in one piece. During the transport the mill was hoisted over, among other things, the overhead lines of a railway. After that it travelled by boat to the eastern bank of the Zaan. What a move for such an old mill! 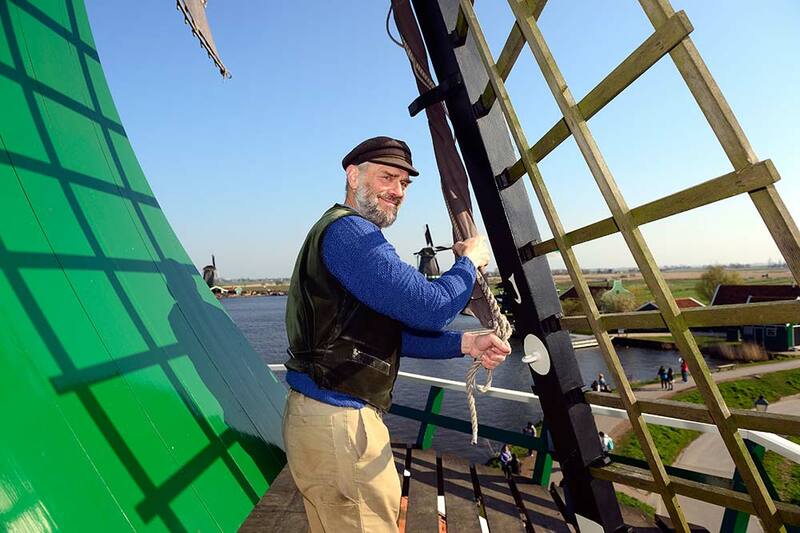 With its head in the wind, the replica of Het Jonge Schaap has been standing on the Zaanse Schans since 2007. 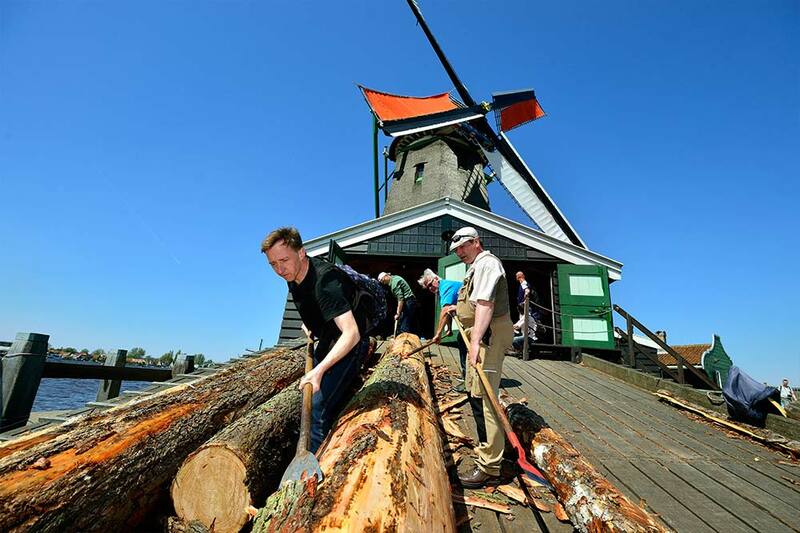 A very special mill at the Zaanse Schans: Het Jonge Schaap is a six-sided, over-wheeling wood saw mill. This shape was unique among the more than 350 saw mills that stood in the Zaan area. 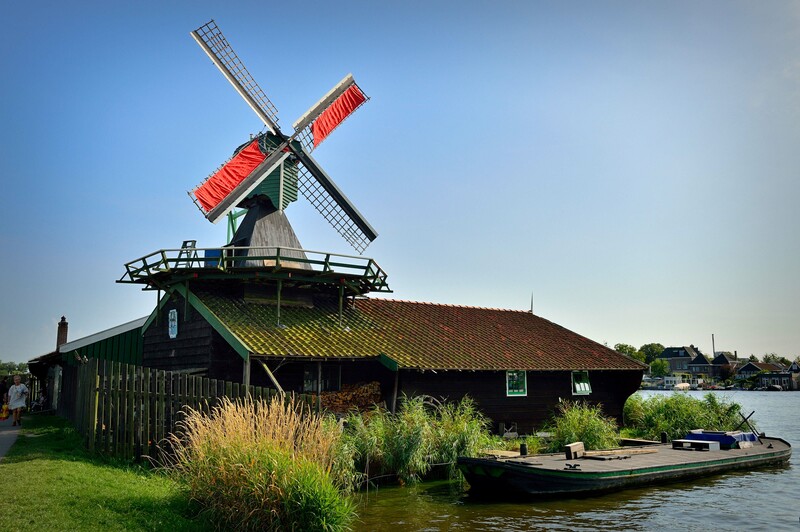 The mill was built in 1680 in the Westzijderveld in Zaandam, and was active there until it was demolished in 1942. 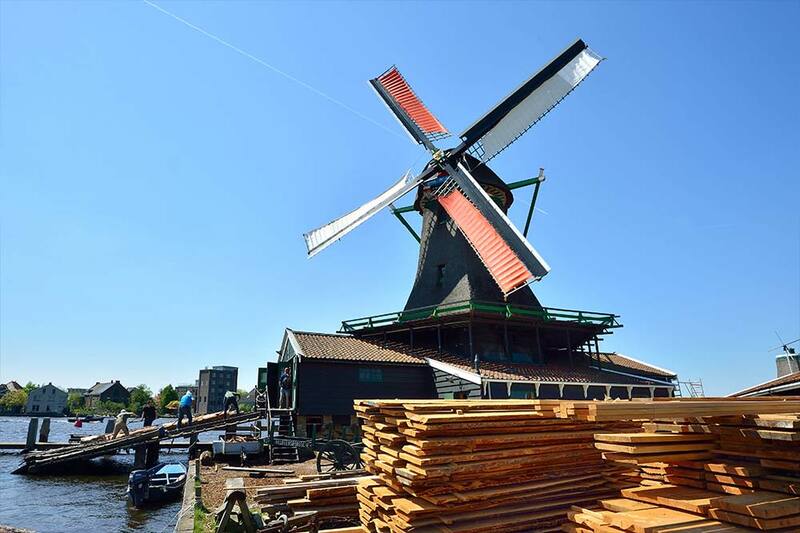 In 2007 the rebuilding process at the new location at the Zaanse Schans, during which as much use as possible was made of 17th century building methods, was finished. From then on Het Jonge Schaap was back in use as a saw mill. 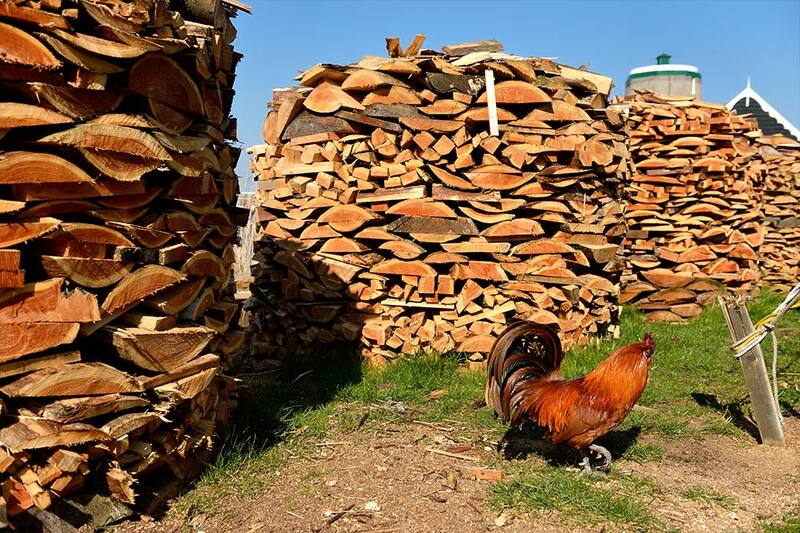 The sale of wood is the main source of income for the mill. Therefore, if the wind allows, it is very busy in the mill. Come and have a look during the miller’s work day and experience how a wood saw mill operates. Also watch the movie about the rebuilding of the mill. Everyone is welcome: Het Jonge Schaap is also accessible for disabled persons. Oil mill De Bonte Hen can certainly be called lucky. Thanks to a little angel on its shoulder, De Bonte Hen has survived since 1693. This mill has survived multiple lightning strikes, good fortune which many of the 600 Zaan mills did not have. Many of its companions saw their thatch catching fire and fanned by the wind in the open fields, usually nothing could be saved in that event. De Bonte Hen is an octagonal over-wheeling mill with a gallery around the mill. 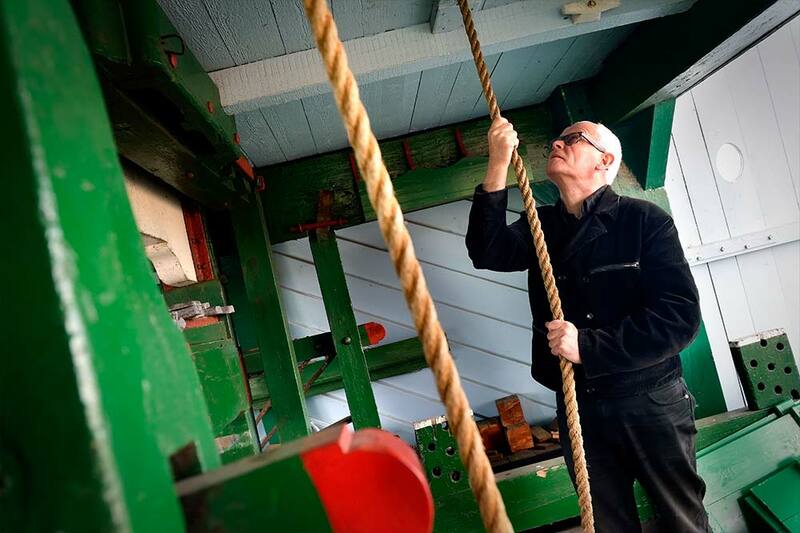 Between 1973 and 1978 the mill was completely restored and re-equipped with important parts. More specifically: a pair of edging stones, a prestroke and postst, fisters and hammers. These are the tools which make it possible to produce oil, which the mill still regularly produces. 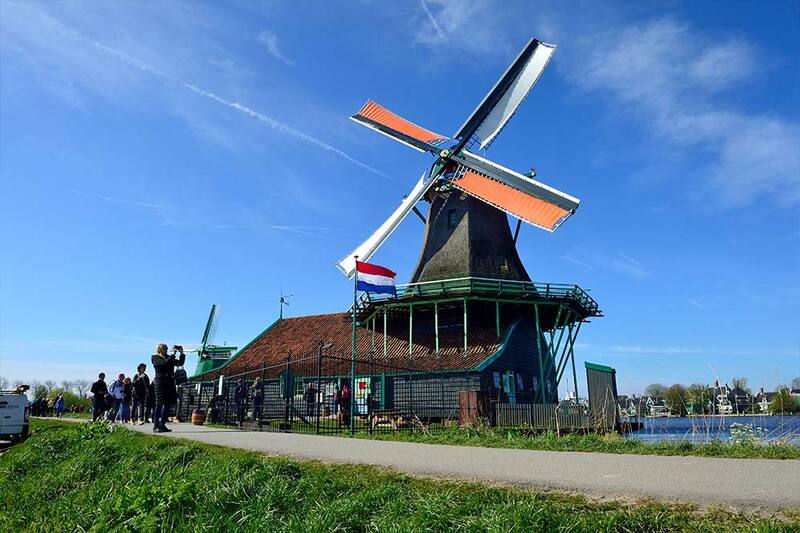 From wind power to diesel engine: a milestone in the mill history of the Zaan area! Originally oil mill De Os dates from before 1663. 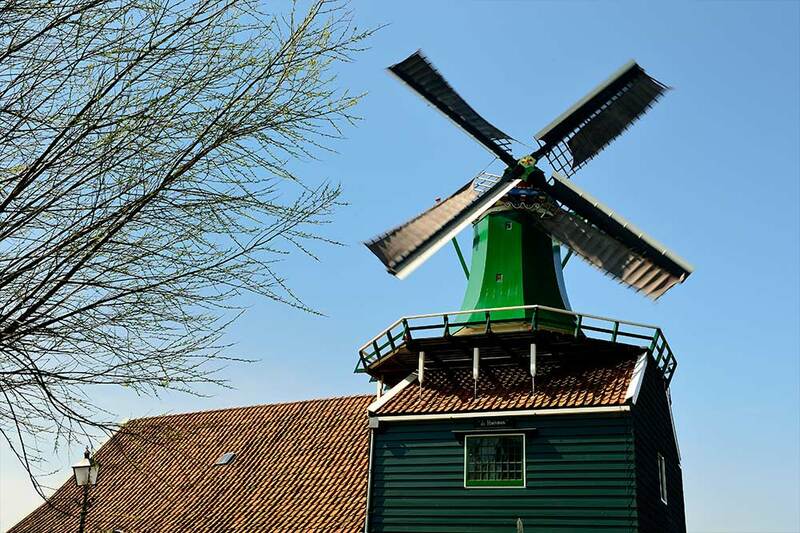 This makes it one of the oldest industrial mills which were ever built in the Zaan area. Until 1916 the mill turned on wind power, after which the cap, sails and stand were removed. But the inner workings of the mill remained intact. The dismantling of the mill in 1916 was an important moment in history. From 1916 to 1931 the mill was powered by a diesel engine. It marks the transition from wind to other sources of energy. That is a milestone in the history of the Zaan mills! 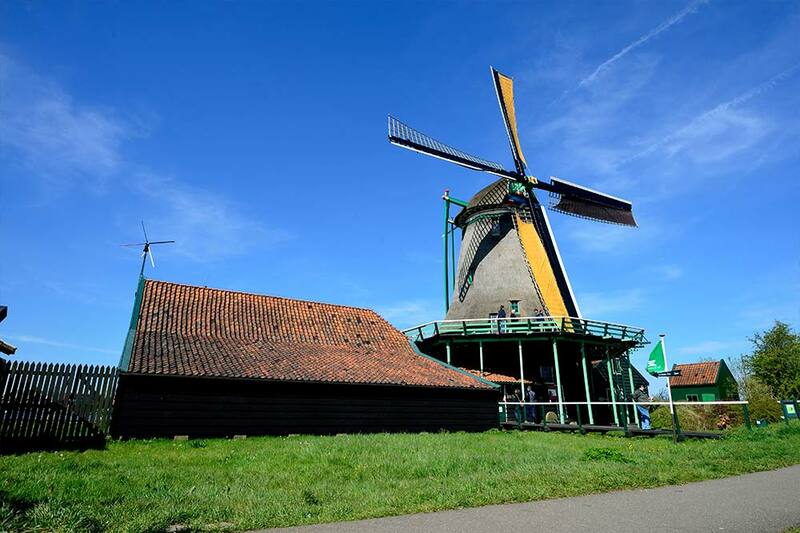 In addition to De Os, the inhabitant of the mill barn also manages polder mill De Hadel and oil mill De Ooievaar. 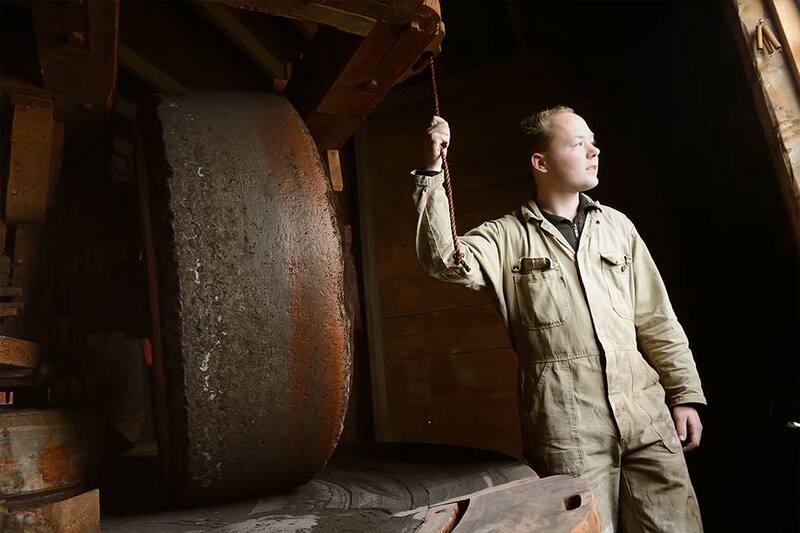 The extraction of oil from oleiferous seeds is done with large mill stones, a process that can be seen in oil mills De Zoeker and De Bonte Hen. 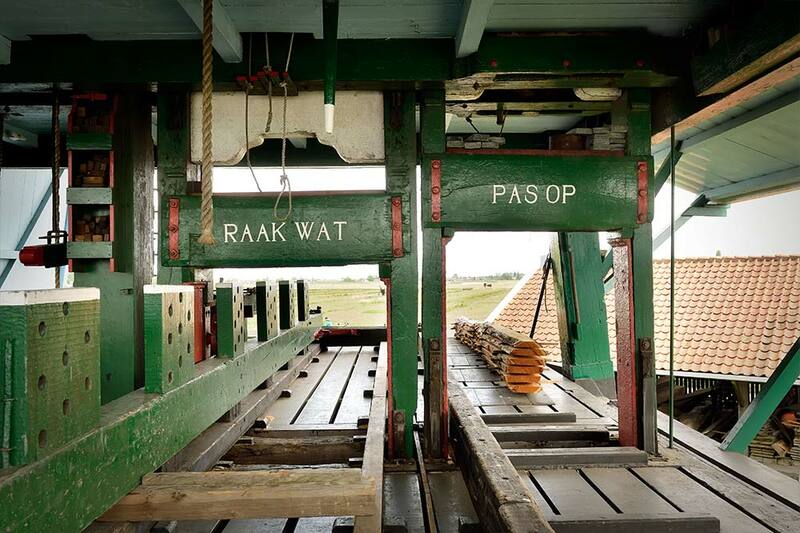 The only real hollow post mill at the Zaanse Schans: Het Klaverblad. To realise his dream, miller Ru Pos bought a small parcel of land in 1973. Outside the dyke, on Kalverringdijk at the Zaanse Schans. First a barn and annexe were built. After this he built, with his own hands, a small wood saw mill between 2000 and 2005. With this so-called hollow post mill a lost type of mill has returned. In the past there were many of these small mills in the Zaan area. They are small and always stood on top of a barn. The sawing – in this case of thin planks – was an extra source of income for the owner. 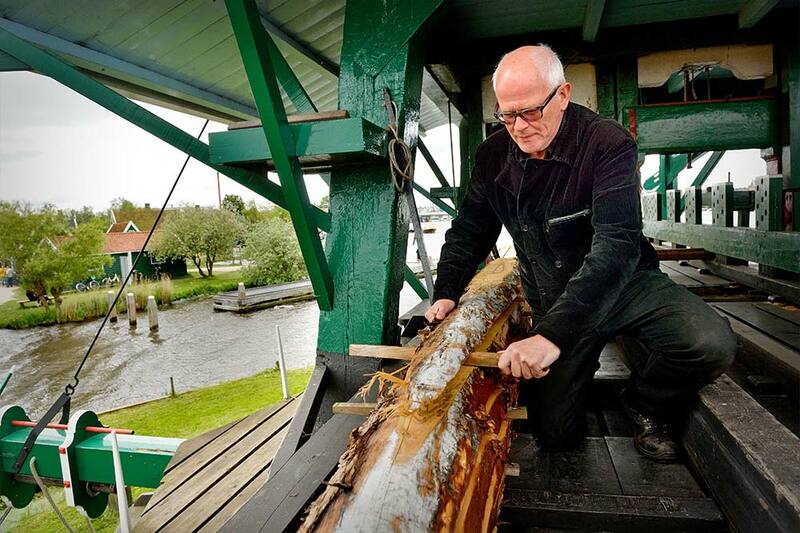 This is well-known terrain for Pos, as he used to be a volunteer miller at wood saw mill De Gekroonde Poelenburg, which can also be found on the Zaanse Schans. The name of Het Klaverblad (shamrock leaf) and the logo of the mill, a four leaf clover, refer Pos’ four daughters. For one of them, carpenter Saskia, Het Klaverblad is the ideal workshop. 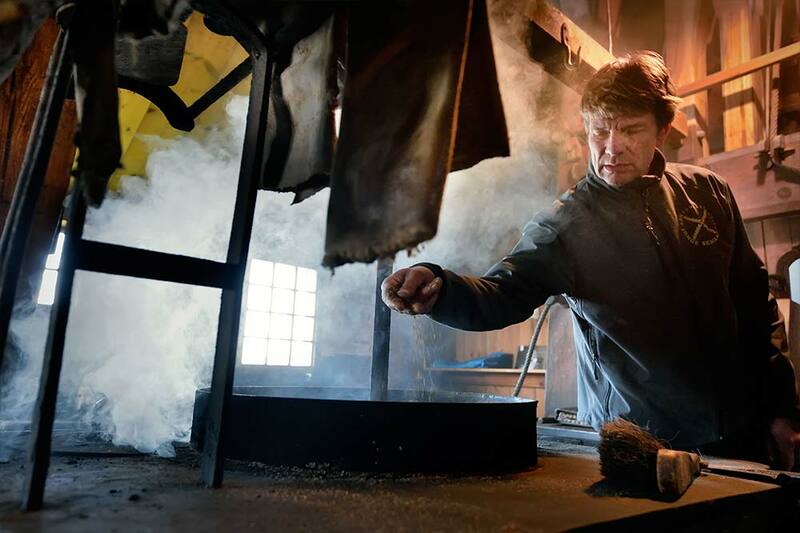 Taste the atmosphere of the oldest smock mill still in existence in the Netherlands. 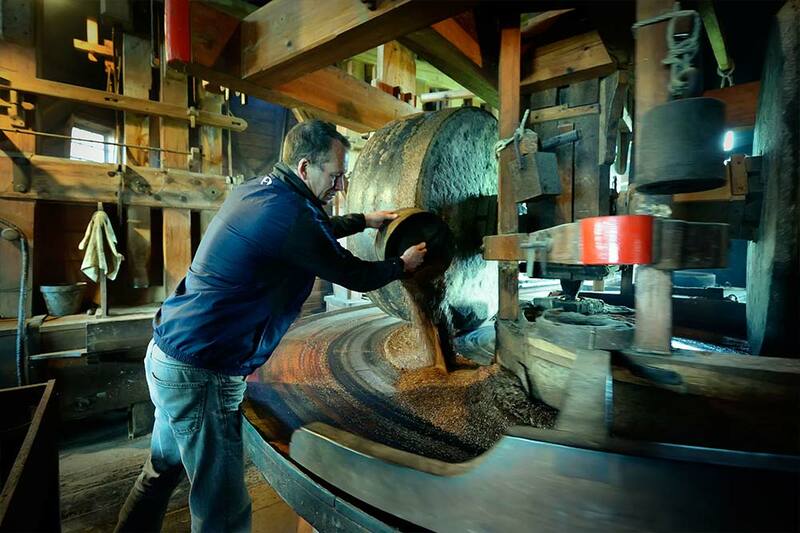 This is the oldest smock mill still existing in The Netherlands. For centuries the mill ground the flour for local bakers. Taste the atmosphere of a bygone age in the stylish shop, where bread mix and flour is for sale every Friday. Also have a good look at the beautiful extension at the river side when you visit. De Bleeke Dood was the village mill of Zaandijk until about the middle of the 19th century. Local bakers had the obligation to have their wheat milled into bread flour in this mill. When this obligation disappeared, the mill fell into decay. Thanks to a thorough restoration in 1954, the mill was saved. From 1656 to 1904 life in Zaandijk also literally took place between life and death. More precisely between water mill Het Leven (Life) in the north and De Bleeke Dood (The Pale Death) in the south. Not an original Zaandam mill, but this oil mill feels totally at home in the Zaan area. In many places in the Zaan area windmills made way for modern steam factories. It is unique that De Ooievaar – transported from Assendelft – now gracefully stands next to the Duyvis nut processing plant. 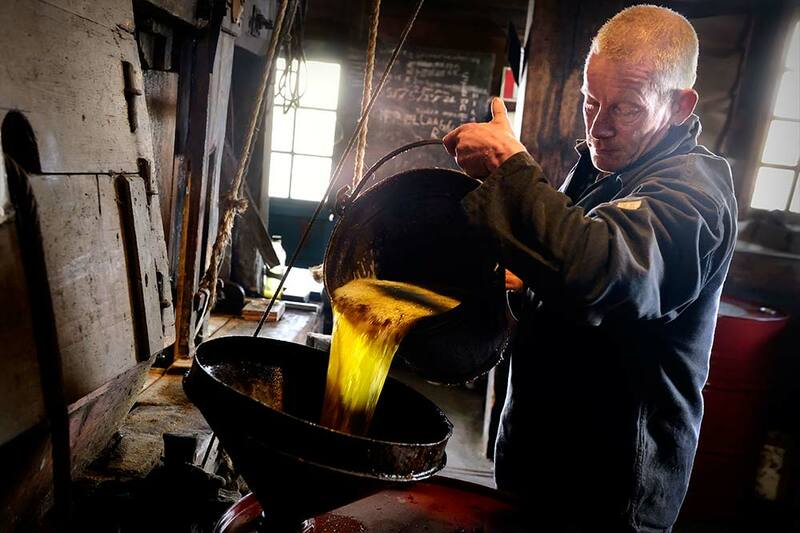 This completes the circle, because the successful enterprise of the Zaan family Duyvis started with… an oil mill. Once, there were hundreds of these mills in the Zaan area. Two are still present at the Zaanse Schans: De Zoeker and De Bonte Hen. 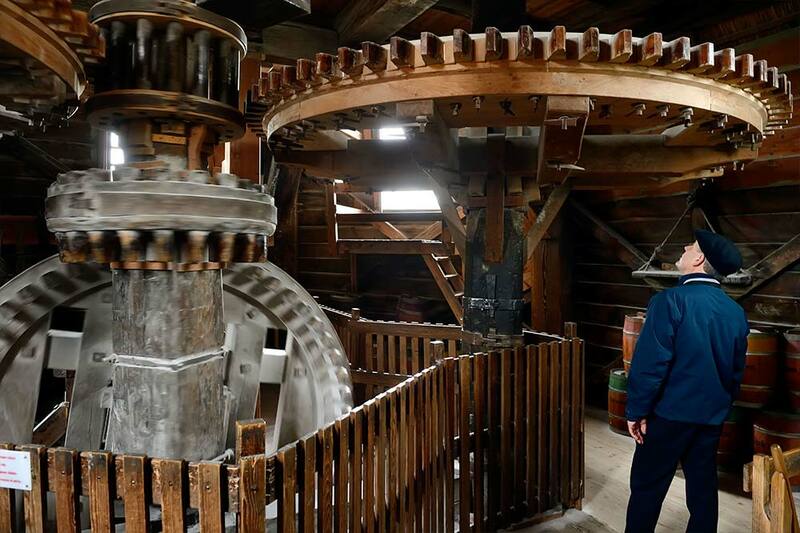 These mills were used for the production of various types of vegetable oil, such as linseed oil, rapeseed oil and colza oil. In 1936 the oil mills on the Zaan came to a final halt. From that time on only engines were used, initially electric motors, and later petrol motors. De Ooievaar was taken back into use thanks to the restoration by Vereniging De Zaansche Molen (The Zaan Mill Association). 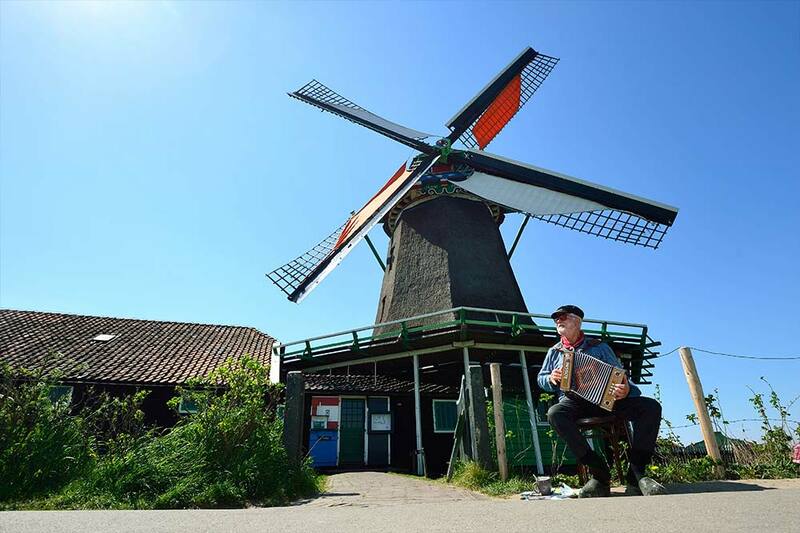 Small, but indispensable: the mini-mill of the Zaanse Schans. 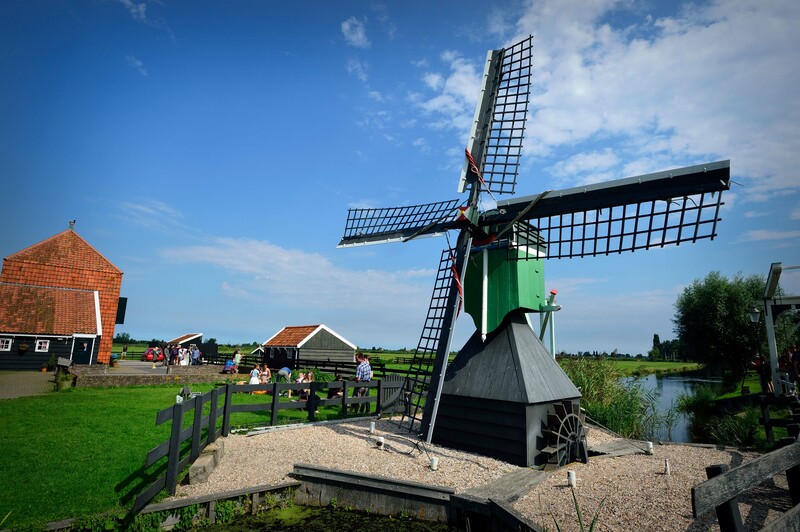 In addition to the magnificent industrial windmills, there are two miniature windmills at the Zaanse Schans. Meadow mill ‘De Hadel’, was relocated to Zeilemakerspad in 1968. It was originally built in the late 19th century and was used to pump water out a polder. 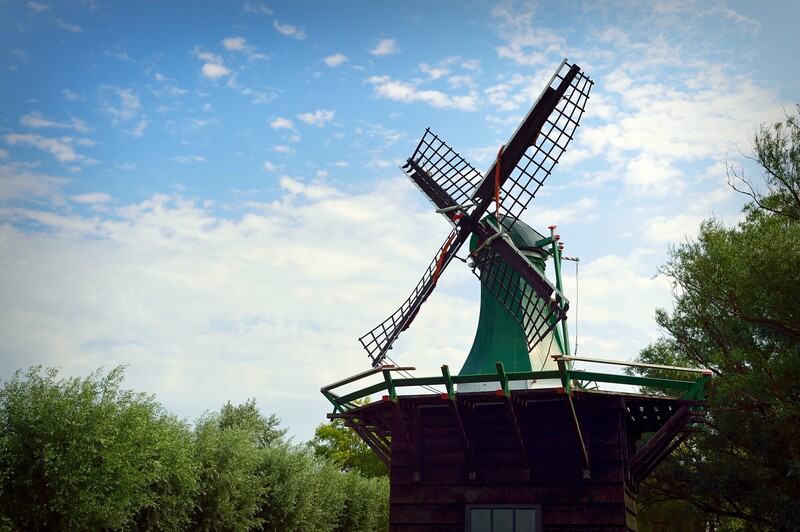 Originally the little mill was located in Midwoud, a small village in North Holland. The second mini-mill is De Windhond, the last crushed stone mill from the Zaan area. The little mill has nine pounders and a grindstone. In earlier times young people built these little mills everywhere on farmers’ yards or on small barns. They made some extra money by pulverising broken sandstone mill stones from other mills into crushed stone. This fine sand was an excellent for sanding and for use as an abrasive.